In 2003, David recognized a need for an alternative to the traditional 6% commission real estate model. Realizing there were no options available for sellers, David created Carolina's Choice Real Estate. Since 2003, David has sold over 2,300 homes and produced over $620,000,000 in closed sales. Saving his clients nearly $22,000,000 in commissions. Sold a Single Family home in 2019 for approximately $325K in Northeast Raleigh, Raleigh, NC. We had an amazing experience with Carolina’s Choice Real Estate Group. Their fees are discounted, so we weren’t sure what to expect. We received totally professional service. David guided us very well in pricing the house; Shelley was great at keeping the communication rolling; and Lee did a fantastic job on the closing. Couldn’t ask for a better experience. Sold a Single Family home in 2018 for approximately $650K in Five Points, Raleigh, NC. David and his team listed and sold our home in the five points neighborhood in Raleigh. They were outstanding in every way. They took exceptional photos for the listing, were incredibly responsive, and artfully facilitated the sale with the other side. I would not hesitate to recommend Carolina's Choice. Their value proposition makes so much sense. Like other industry disruptors, time will prove that their innovative approach to selling real estate is here to stay in the Triangle! Sold a Single Family home in 2018 for approximately $450K in Weston Pointe, Cary, NC. It was an excellent and easy process and we got a better offer than our full price real estate agent suggested. I will definitely use them again. Everything happened as they promised and it was better than I would’ve hoped. Sold a Townhouse home in 2018 for approximately $275K in Cary, NC. This is the way to go as a seller! David and his entire team provided great service in a very timely manner from the time we called for a listing appointment through closing. Great job on photos as well. We really appreciated the team being on top of the offer, working with the buyer's agent to schedule inspections, and the prompt follow-up. We used the full service option and are glad we did. Sold a Single Family home in 2018 for approximately $275K in North Raleigh, Raleigh, NC. We had the best experience with David and staff. Would HIGHLY recommend Carolinas Choice and would use them again if needed. From start to finish the process was almost too easy. They handled everything for us and we did not have to worry about a thing. Have already recommended this company y to friends and family. Listed, but didn't sell my Single Family home in 2018 in Holly Springs, NC. We have used Carolina's Choice Real Estate and been working with David (owner). In the beginning he was great. After signing the agreement to list the home, he immediately became distant, very difficult to reach over the phone unlike before. This was the first time using a flat fee real estate agent and not sure how they work but I felt like I was selling the home as 'for sale by owner'. Very limited consultations, they will charge you fees for having them come to your house as well. As of now, we wanted to give David one more try but could not be reached: called, left voice messages, texted, emailed. David called back once after a few days which I was not able to pick up at the time. It has been about month or two and I still have not been able to talk to David. Very disappointed. Sold a Single Family home in 2018 for approximately $375K in Cary, NC. I used David's business - Carolina's Choice Real Estate - to sell my home because two of my wife's co-workers have used it and recommended it to her. I am very happy with the whole process. David is very patient to answer our questions and discuss our concerns during his visit. And he took time to take professional photos of the property to make sure they were best. His team works very hard too because real estate sales are time sensitive. They were so dedicated that they sent e-mails after 10:30 pm because the buyer could not make it earlier. And I got another e-mail around 7 am the next morning. They provided a mobile app so that every time an agent booked a show time of the property, I got a text page and an e-mail. I got the feed back in the app immediately too. Overall, it was a very smooth process with a quick, happy result. Sold a home in 2018 in Wake Forest, NC. A great choice. Great service and really nice to not pay the crazy commission to a regular listing agent. I saved thousands of dollars and got all the service that I would have recieved from any other listin agent. Sold a Single Family home in 2018 for approximately $775K in Apex, NC. David and the entire team at Carolina's Choice Realty provided an outstanding experience from beginning to end when we sold our home in September. We weren't sure what level of service to expect with a limited service agency, but I have to say we really appreciated the way the entire process was well organized, streamlined and efficient and we couldn't have asked for a better level of service and responsiveness. If you're looking for a way to save some money when selling your home, I would definitely recommend giving this team a call. Sold a Townhouse home in 2018 for approximately $275K in Northwest Raleigh, Raleigh, NC. My thanks to David and his team on the smoothest house sale I’ve ever had the pleasure of being a part of! I’m very appreciative of their time and professionalism. Other agencies had suggested I list the home for much less -- which would have resulted in a quick, easy sale for them -- but David insisted I aim higher. That required extra time, energy, and persistence on his part — and all for my ultimate benefit because his recommendation was spot on! Then the process from contract to close was a breeze! Sold a Single Family home in 2018 for approximately $300K in Willow Spring, NC. David and his team are AWESOME! I am so thankful to them. He and his team are such a pleasure to work with, and they are responsive, kind, compassionate, understanding, and good, honest hard-working folks! I couldn't have asked for better people to sell my house. Sold a home in 2018 in North Raleigh, Raleigh, NC 27614. I was really happy to find the service that David offered. He came in and took great pictures of the house, put up the for sale sign and was very helpful, knowledgeable and polite. We did not want to use a real estate agent and have to pay the fees and believed especially in today's market, the house would sale with a little help. As soon as it was put on the MLS by Carolina’s Choice, agents started booking appointments to see the house. I got notifications on an app on my phone. Honestly, I cannot believe how easy it was to sell a house without a real estate agent. It felt very EMPOWERING ! I would definitely go this route again when selling a house. Sold a Single Family home in 2018 for approximately $500K in North Raleigh, Raleigh, NC. Our experience with Carolina's Choice Real Estate was an incredibly positive one. We listed with them after terminating our listing agreement with another agency; our only regret with the home sale process was that we didn't list with Carolina's Choice from the beginning! By listing with them we were able to save thousands of dollars in commissions and still felt that we received a comparable level of service. If you are looking to list your home in the Raleigh area, I highly recommend David and his team! Sold a Single Family home in 2018 for approximately $500K in Northwest Raleigh, Raleigh, NC. We had a very positive experience selling our house through Carolina Choice. We were happy with the responsiveness of the whole team and the detailed manner in which they handled our home sell from listing to closing. David and his team are experienced, skilled professionals who provide a valuable service to home sellers. We highly recommend Carolina Choice! 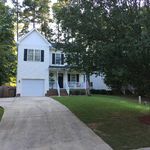 Bought and sold a Single Family home in 2018 for approximately $325K in North Raleigh, Raleigh, NC. The team at Carolinas Choice is awesome! They provide the same service you would expect with any other real estate firm at a much lower cost. We saved a ton of money and were 100% satisfied. 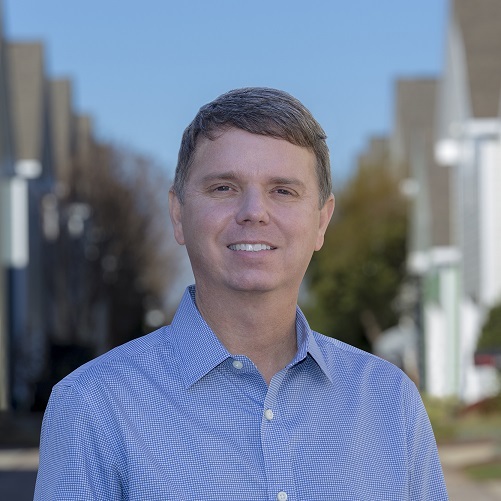 Sold a Townhouse home in 2018 for approximately $375K in Five Points, Raleigh, NC. David and his team know their stuff, the market, and how to negotiate the best price. Would definitely use him again. If you're interested in moving to or from Five Points, give them a call! Sold a Single Family home in 2018 for approximately $700K in Apex, NC. What a great experience. David and his team took care of us from start to finish. The savings were amazing, yet the service was excellent. We had them both list or home as well as act as or agent, they did a great job with both. Sold a Single Family home in 2018 for approximately $600K in Morrisville, NC. Carolina Choice is a great way for sell your home and keep the seller’s commission to a minimum. The Choice team did a very nice job shepherding the process to completion and my property sold for a fair price for both parties. The Choice team members were very competent in their specific roles and, overall, it was a very positive experience. Sold a Townhouse home in 2018 for approximately $350K in Cary, NC. We had a great experience with David and his team. We had to sell my Father In Law’s home after his passing. The entire team was respectful and extremely professional. Their process is amazing and so very cost efficient. The home sold in 6 days and closed easily thanks to their skills. We will be selling our current home after the first of the year and won’t hesitate to use Carolina’s Choice. Sold a Single Family home in 2018 for approximately $425K in Westpark, Cary, NC. We used the flat fee marketing only option. We have bought and sold several houses over the years so we were confident that we could handle the process with just a lawyer and the buyers agent. David took fantastic pictures of our house and we received an offer 24 hours after he listed on the MLS. We took it from there and saved about $10,000 in selling agent commission. Sold a Single Family home in 2018 for approximately $400K in Wake Forest, NC. After looking and interviewing "full service" Realtors that would take 6%, I spoke to David. He explained his process and fee. I was amazed but a bit skeptical but based upon other sales by Carolina Choice Realty in our neighborhood, we hired his team. The best choice I ever made! We had an offer after listing the house for four hours and a full price offer after five days! David's team even worked through the closing and legal documents and made sure funds were sent to another state for my purchase. Don't let David's fees sway you to pay more elsewhere. He saved us a considerable amount of money and made the sale! I would hire david and his team again without a second thought. A flawless process! Sold a Single Family home in 2018 for approximately $500K in Picardy Pointe, Cary, NC. David and his team provided the right level of support to help us list, market, show and sell our home in a very short time window. From initial contact to sale took only two months and his team counseled us through every step of the process. They are experienced and professional and took all the anxiety out of the process. I would highly recommend Carolinas Choice Realty to anyone looking to sell their home. Sold a home in 2018 in North Raleigh, Raleigh, NC 27615. David and his group were very professional throughout the process of selling our house. They sold our house in two weeks! Sold a Single Family home in 2018 for approximately $400K in South Central, Raleigh, NC. Sold our house quickly with price point we wanted. David took gorgeous photos of the house and was such a delight to work with. Very responsive and gave us solid advice! Sold a Single Family home in 2018 for approximately $625K in Carpenter Village, Cary, NC. Sold our house in 2 days with 3 offer. We took the offer which was $4000 over asking price. Photos were very well done, staff is very responsive. Could not tell Carolina's Choice was a discount realtor. Sold a Single Family home in 2018 for approximately $500K in Mordecai, Raleigh, NC. tremendous amount of knowledge to get the job done in an orderly manner. every phase of the process was great and all the personel were very helpful. the sale was very quick and the asking price was offered and accepted. Sold a Single Family home in 2018 for approximately $400K in Shiloh, Morrisville, NC. This is the second time I used David and his team of professionals. The service you receive from their team is just like using a full service broker. Starting with the quick response to listing the home, professional expertise on pricing, pictures, negotiations, document preparation (and ease of signing), more negotiations, ease of closing, and the list goes on. Why do it yourself when you can have experts partner with you to make it easy. All this and priced right! Thank you for all the work Carolina's Choice Real Estate. I have already recommended this firm to my neighbor and recommend them to you. Give David a call. Sold a Single Family home in 2018 for approximately $300K in Northeast Raleigh, Raleigh, NC. David and Shelley were absolutely phenomenal to work with in the sale of our house. David made the initial appointment w/in days of my contacting him, and he was spot on with the projected value of the property. We went with the FSBO package w/ the professional pictures (I highly recommend any seller to do so), and while we didn't hire them to fully represent us, both he and Shelley always responded timely--I'm talking within minutes--to my emails and inquiries, and remained professional at all times. Our entire process went seamlessly, and I couldn't have asked for a better experience. We even recommended him a neighbor, who's now using Carolina's Choice Real Estate to sell their home. Sold a Townhouse home in 2017 for approximately $125K in Kildaire Farms, Cary, NC. David and his team are nothing short of professional. Listed and sold this property over list price in less than 72hrs. Their guidance from start to finish was right on point. Sold a Townhouse home in 2018 for approximately $375K in Cary, NC. We used David Wilson and his team to sell two homes over the past couple of years. We highly recommend them. Their flat fee sales model is great, and they have a very efficient process. Sold a Single Family home in 2018 for approximately $450K in North Raleigh, Wake Forest, NC. We have sold multiple homes with David and his team, and his responsiveness and knowledge of the market are what impress us the most. Highly recommend! Sold a Single Family home in 2017 for approximately $225K in Northwest Raleigh, Durham, NC. David and his team were wonderful to work with. The entire process was much easier than we had imagined . They were always very responsive to our questions. We were thrilled to have multiple offers in a very short time. Sold a Single Family home in 2017 for approximately $325K in Northwest Raleigh, Raleigh, NC. David helped us sell our home with his FSBO package. We considered the full representation package since it was still very reasonably priced but decided to try to sell the home ourselves. He was extremely pleasant to work with throughout the listing process and after the house was on the market. David and Shelley were both fast to respond to our emails and we felt like we had a Realtor to ask advice of even though we were selling the home ourselves. I'd definitely recommend David to anyone looking to sell their home! Sold a Single Family home in 2017 for approximately $225K in Rolesville, NC. I’ve bought and sold a few homes before and fairly familiar with the process. From start to finish Carolina’s Choice could not have been more professional. The entire staff were very helpful, efficient and responsive. We sold our home in two days and at our asking price! 5 stars without a doubt. Sold a Single Family home in 2017 for approximately $425K in Raleigh, NC. Our neighbor who had recently sold their house recommended David Wilson and Carolina Choice to us. We could not have been happier. David Wilson was very helpful in getting our house ready to sell. He and his team were very professional in all aspects of the sale process. Although our house did not sell as quickly as we had hoped, I always believed that Carolina Choice was looking out for our best interests. We would not hesitate to recommend him to friends and family. Sold a Single Family home in 2017 for approximately $250K in Hope Valley Farms, Durham, NC. We selected the full service and we were very happy with how the processed worked. We worked with 3 team members and everyone was so experienced that every part went smoothly. Everyone answered my questions directly and succinctly, so we all saved a ton of time. The pictures were fantastic, I thought about hiring a pro photographer but it really would not have been necessary, the pictures that David took worked perfectly. IN the end this service was exactly what I was looking for -- I wouldn't hesitate a second to refer a friend. Sold a Single Family home in 2017 for approximately $350K in North Raleigh, Raleigh, NC. David and his team gave us the proper advice to get our home ready to sell. Our home was on the market and in negotiations within 10 days. He guided us through the process and made the sale happen quickly. Highly recommend David and team. Sold a home in 2017 in Upchurch, Cary, NC 27519. We selected the full service for $2000. David showed up at the house full of information to make a solid decision on the price of our house. He went through the house in detail, provided ideas of how to make the house look less cluttered and took very professional pictures. The process to get the house on MLS was quick and smooth! The house sold within 2 weeks and above asking price. The post sale process was also a good experience working through all the different elements involved in closing. His closing agent Lee showed up for closing and it was done very quickly... Highly recommend David and his team to either buy or sell your home!! Sold a Townhouse home in 2017 for approximately $175K in Kildaire Farms, Cary, NC. David Wilson and his staff were great. He offers a For Sale by Owner option. It was affordable and I was able to negotiate my home sale on my own. I could not be happier with the outcome. Carolina's Choice Real Estate advertised my home and listed it in MLS. Because of the advertising and MLS listing I was able to get my home under contract within 24 hours of it being listed. Sold a Single Family home in 2017 for approximately $525K in Raleigh, NC. David and his colleagues assisted us in selling our house quickly and for a higher price than we had expected. Within one day of meeting with David, he had a very attractive MLS listing in place. We received multiple offers, and his colleague assisted us in evaluating them and making the best decision. They assisted us throughout the closing. We were very pleased with the entire process. Listed, but didn't sell my Single Family home in 2017 in Cotswold, Cary, NC. We opted for the flat fee of listing our home thru David. He was very prompt and professional. He took great pics of the house and listed the home on MLS and various other sites within our timeframe. They also provided a lockbox and signage. He was very responsive to our needs and provided his opinion concerning our options along the way. The Showtime app made the house showing very easy. If you have some time to put into the process I recommend going with the flat fee service. Sold a home in 2017 for approximately $175K. We listed with David Wilson of Carolinas Choice. Super service, on time, professional, and, lowest price to list your home. In today's environment, you need access to all the online apps, and David gets you that, at a huge savings. We saved over $4000 selling a townhouse for $175K, so do the math, it really makes sense to use Carolinas Choice, save money, your money. Sold a home in 2017 in Hillsborough, Raleigh, NC 27605. David is great to work with on selling your home. He responds quickly to any questions. His pictures are great! He tells you what you need to do to get your property ready, and also what you can skip! His pricing guidelines were on the money......we sold the first weekend! Sold a Single Family home in 2017 for approximately $275K in Holly Springs, NC. Where to begin? David came to me through a mutual friend that also had a wonderful experience with Carolina's Choice. David came out, assessed our home, was honest and realistic, provided us some great insight and helped us with getting the home on the market. Granted we are in a hot market at the moment, but I have not seen homes move as fast as this one. David, Shelley, and Lee all did a fantastic job. There was never any guessing, they all were prompt with information, updates, and guidance throughout all parts of the process including the occasional rough patches. They all made this a truly wonderful experience, and to add to it, the cost. Having this level of attention put on our sale given the fixed price was better than we could have hoped for through the standard percentage based firms. We saved thousands! If that doesn't sway you, nothing will. Sold a Single Family home in 2017 for approximately $550K in Five Points, Raleigh, NC. David's approach to selling my home was a perfect match with the situation. He priced aggressively based on knowledge of the neighborhood and market. He avoid cosmetic costs to me before listing. We received a full price offer first day. All negotiations and paperwork were handled by Carolinas Choice team for me since I had relocated out of state. High return. Low cost. Great outcome. Sold a Single Family home in 2017 for approximately $325K in Fuquay Varina, NC. David made our home selling process easy - we provided photos and a description, and David worked to quickly post our home to the local MLS in addition to Zillow et al. He was always available to answer questions and give advice throughout the process - I would absolutely go to David if I needed to sell another home. Our Home Sold In 5 Hours!! David and his team are amazing. They handled everything with precision and expertise. Our home was listed exactly when we asked and within 5 hours we had a contract for over asking price. We closed a month later with absolutely no problems and we saved thousands of dollars. The process is quick and everyone should use Carolina’s Choice to sell their home!! Tricia Steiger,	Wake Forest, N.C.
Carolinas Choice Realty is a premier real estate agency. I highly recommended their services. They are very detailed and service oriented. They sold my home back 2010. Listed, but didn't sell my Single Family home in 2017 in Apex, NC. I have used David as a listing agent for two properties in the last two years. The professional photos were worth every cent and I sold each home in less than 4 days. It is incredibly easy to coordinate showings and sell your home using their services and I recommend them to anyone looking to represent themselves in the sale of a home. If you are looking to use a listing only service you can utilize David with confidence. Sold a Single Family home in 2017 for approximately $200K in Chapel Hill, NC. We used David Wilson and his team recently to sell our home. They did a wonderful job and saved us money. David was attentive, paid attention to detail and always available. I highly recommend David Wilson and his team. Thank you! Sold a Townhouse home in 2017 for approximately $125K in Northeast Raleigh, Raleigh, NC. David was a pleasure to work with! My wife and were pleasantly surprised at how quickly he was able to sell our home (had 3 offers within 24 hours). He was very responsive, answered any an all questions we had and kept us posted on every step of the process. We did not experience any of the horrors of selling a home that you hear about from others. I highly recommend David and his team! Sold a Single Family home in 2017 for approximately $275K in Apex, NC. David provided the exact services we needed and asked for. He was easy to work with and made sure all of our needs were taken care of. I would highly recommend working with him if you want to proceed down the path of "For Sale By Owner"